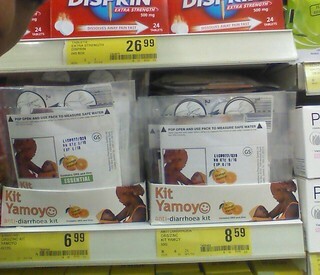 I was delighted to receive these images on Thursday (15-Dec-16) through our ‘Shoprite Watch’ WhatsApp group, showing the new Kit Yamoyo format – Kit Yamoyo ESSENTIAL – on supermarket shelves for the first time. The new format simply contains ORS and Zinc, without hand washing soap. 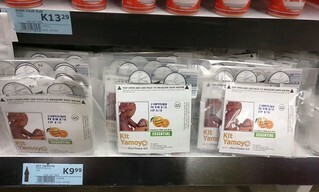 This month, a third supermarket chain – Pick n Pay – started stocking Kit Yamoyo (left image above) while the number of SPAR stores stocking the kit has expanded to seven. These are significant milestones. Just 3 years ago, our trial showed that 99% of children were not getting the recommended diarrhoea treatment due to problems of access. The treatment was simply not available. 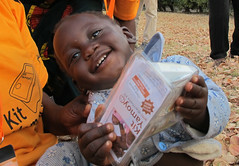 Now a world-class ORS and Zinc treatment is on the shelves of the three major supermarket chains in Zambia, whilst our partner, Keepers Zambia Foundation, have trained more than 1,000 small community retailers to stock and sell it. We are proud to have achieved this but it’s incredible how long this has taken and how ‘events’ can cause months of delay. The production of a format of Kit Yamoyo without soap became a necessity when the Zambia Revenue Authority (ZRA) ruled that the original Kit Yamoyo was subject to VAT because it contained soap. I reported on this in May-16 here. It was 7 months ago, on 11-May-16, that we had the first exploratory meeting with Shoprite to ask them to take on the new Kit Yamoyo ESSENTIAL format. We were expecting this to be the first meeting of several. We presented barcoded samples and made our pitch: we wanted them to run both formats (with and without soap) at least for a while, to help us gauge the market. Getting a new line into a supermarket – let alone two – isn’t easy. Shoprite’s preference would have been to replace the original kit (with soap) already on the shelves with the new one. Yet after some persuasive talk, they agreed to run both lines. This rather took us by surprise: Pharmanova were not in an immediate position to go into production with the new version. New instruction leaflets needed to be ordered for both both formats to distinguish them. On 1-Sep-16, Pharmanova finally launched Kit Yamoyo ESSENTIAL – this was reported here – but with a different barcode from the one carried on the samples left with Shoprite back in May-16. This simple slip-up caused considerable confusion. Initial orders placed by Shoprite were returned to Pharmanova, while Shoprite updated their catalogue, maintained in South Africa, with the new barcode. At last, however, here we are, 3 months after its launch, and Kit Yamoyo ESSENTIAL supplies are flowing freely to Shoprite stores and other supermarkets across the country. We know that affordability is a huge issue for most of the families that need Kit Yamoyo for their children, so we expect the offer of Kit Yamoyo ESSENTIAL to have a big impact. Shoprite will be the cheapest retail source thanks to their commitment to a minimal mark-up: the original Kit Yamoyo (with soap) sells at K8.59 and Kit Yamoyo ESSENTIAL is priced at K6.99 (19% cheaper). 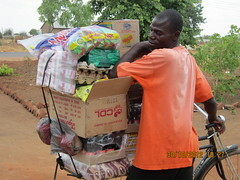 Already, the ex-factory sales of Kit Yamoyo ESSENTIAL have overtaken sales of the original Kit Yamoyo (with soap). This is reflected at micro-retailer level as well, where Kit Yamoyo ESSENTIAL is available – see the Dec-16 ColaLife Dashboard. We wish to give special thanks to Shoprite for their support and leadership in helping transform access to diarrhoea treatment in Zambia and to SPAR and Pick n Pay for following suit. Happy to hear! Great result. Hope you both are well. It’s been so great getting to know you and Colalife this year! Thanks for the opportunity.